Jacksonville is a large commercial and financial center with the most “northern” feel among large cities in Florida. Modern skyscrapers line a well-defined downtown and waterfront area, and the city spreads in all directions and especially south and west from there. It is ultimately a mix of Northern, Southern, and Florida cities, prosperous and water-loving and culturally conscious with not too much tourism. The economy is diverse, with an assortment of banking and financial institutions, a bustling port, and large corporates like BellSouth and CSX. Sprawling and fairly unattractive residential areas surround downtown, and the population has relatively low educational attainment. The best suburbs lie south towards Orange Park and east towards the coast. There is plenty to do in town and nearby along the coast 20 miles east, including the world-class beaches, golf courses, and resort areas of Amelia Island to the northeast and the historic area of St. Augustine to the southeast. Although healthcare statistics are low in general, they are enhanced by the presence of a Mayo Clinic. Home prices have escalated rapidly, as they have in most of Florida, but remain reasonable on a national scale. The terrain surrounding Jacksonville is level. The climate is coastal and subtropical. Easterly winds blowing 40% of the time produce a maritime influence modifying summer heat and winter cold. Summers are long, warm, and relatively humid. Winters, although punctuated with periodic invasions of cool to occasionally cold air from the north, are mild. Because of varying distances to the ocean, climatic features across the city differ. Inland summer temperatures frequently exceed 90 degrees while remaining in the 80’s at the beach. Summer thunderstorms are common, occurring 1 day in 2. The area is vulnerable to hurricanes, but is far enough north so that most of them lose strength before reaching the area. 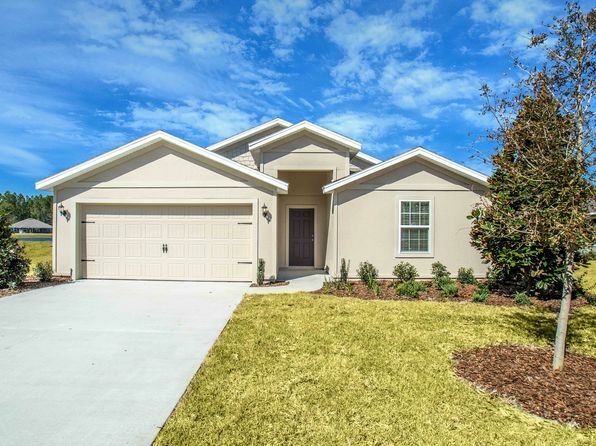 The median home price in Yulee is $220,100. Browse Homes in this Range. 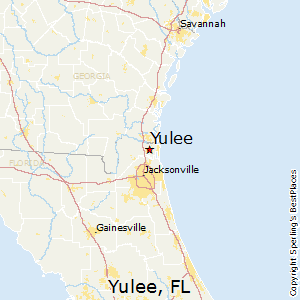 Compare Yulee, Florida to any other place in the USA.